The Truth About Music » What is the Album of the Year; Is it “The E.N.D.” by Black Eyed Peas? 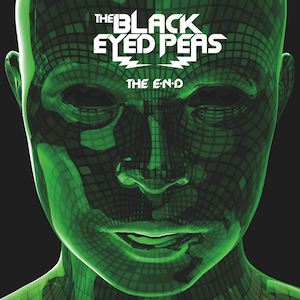 Back in December (and in June) I wrote that the Black Eyed Peas and their album “The Energy Never Dies” was the best album of 2009 and that they got autotune right. It is a revolutionary concept album that made full dance albums a pop culture phenomenon. The album featured auto-tune being used in a positive way, making the music sound like a technologically advanced robot, on acid. That’s exactly what the band wanted. With a combination of perfect singles and solid fillers, “The E.N.D.” is an easy listen and puts you in the mood to party. Singles “Boom Boom Pow,” and “Meet Me Halfway” performed great on the charts and some might say that “I Gotta Feeling” was the anthem of 2009. Although this is my personal favorite for Album of the Year at the 52nd Grammy Awards, it is not the album I think will win in the prized category. Maybe it came one year early. Maybe it’s just too crazy for Grammy voters. Either way, it is not the type of album that the show will honor. Great as it might be, there is something about raving, on acid, at a club that dosen’t equal a Grammy to me. Here it is in writing, I hope that we get to see Will.I.Am and Fergie storm the stage as they win their fourth Grammy. My prediction and official pick, they will only see the stage to claim their Best Short Form Music Video win (which isn’t actually presented during the main show). I’m predicting Taylor Swift, the AMA artist of the year and the beloved darling of the music industry, picture purity and all that is right in the world. Again, that’s my prediction, not my belief. I still wonder where they pull the nominations from? Album of the year, in regards to what? Commercial success? No, that’s numbers and we could just look it up. Artistic value? Seems unlikely. Almost every other 2009 top albums list is radically different. In fact, not a single Grammy nominee appears even on Billboards 2009 top critics’ picks. Maybe I’m just too cynical about the process in its entirety, but it appears to be more lip service to the top earners, not to anything substantive. hey Brian, thanks for the comment. I think the thing to remember in regards to the Grammy awards is that the top categories recognize pop music to the fullest. These are not necessarily the best albums of the year overall. Instead they are the best albums by the top artists in pop. Personally, I think the albums chosen for this year were really great with the exception of Beyonce’s. Black Eyed Peas put out a real game changing album. Gaga is an amazing performer and deserves to be honored based on both numbers and “artistic value.” Although I can’t speak from knowledge, Dave Matthew’s band always put out solid works and finally, Taylor Swift’s “Fearless” was a great example of a full album. It has bread on the sides and everything in between. Thanks again for reading and I hope that you will enter our “pick the grammy winners contest,” located in the “Truth About Music Picks the Grammy’s” post!! What is the Album of the Year; Is it "I Am… Sasha Fierce" by Beyonce?